It's a failure, but also quite interesting! Few days ago, I was web-surfing on YouTube for some new nail ideas. One technique sounds quite interesting, it's called "Watercolour" nails. Basically, just paint the nails white and drip the colours on the surface. Then, use a brush with acetone to "dilute" the colours and create the watercolour effect. If you are unsure about what it is, check this wonderful video here. So, the watercolour nails are not done by watercolours at all. I am using water-based polishes and they cannot be dilute by acetone. So I tried adding the water into the colours to create the "fading" effect. However, it's a failure, because water-based polishes are already very sheer compared to the regular ones. The result is not as pretty as done by the regular polishes with acetone. I used AQMORE Winter as the base, AQMORE Fire Bug, E-Nail Bikini, Pink Panther and Popeye (卜派) for the watercolour effect. Basically, I just added water on top. The featuring bottle is Popeye, an amazing true blue colour. 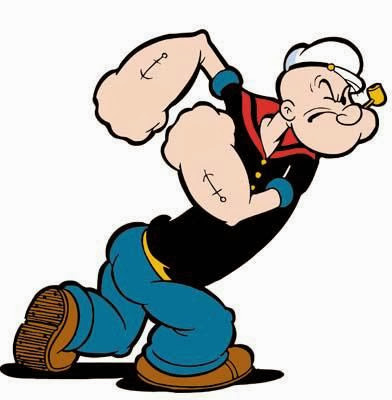 Yes, it's quite funny why E-Nail name this colour Popeye, because it makes me think about the Popeye cartoon when I was young. Maybe it's because his pants? LOL Anyway, Popeye is a pretty blue for sure! I may do some "popeye" nails, so inspiring!